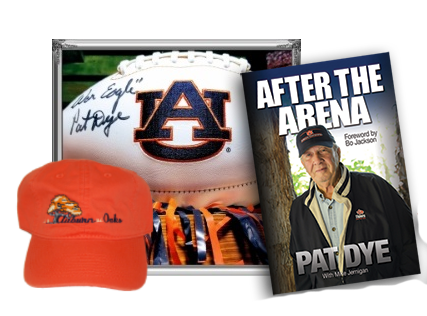 The Coach Pat Dye Show is not just another sports talk show. Coach Dye brings the unique experience of being a two time All-American football player at the University of Georgia. Dye spent 9 years as assistant coach at University of Alabama under Bear Bryant and eleven years as head coach at Auburn University, forever shaping the University and its football program. He was inducted into the College Football Hall of Fame in 2005. 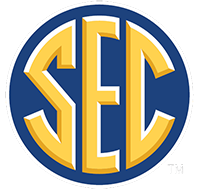 As a man who has spent his entire life in football programs, no one in the country understands better the rivalries and traditions of the SEC. The Coach Pat Dye Show is a mix of timely football, sports talk, and great interviews with high profile coaches and players from around the nation. 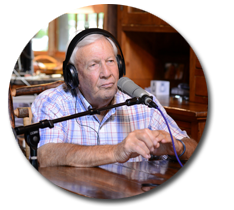 With Coach Dye's genuinely engaging nature, broad perspective, quick wit, and one liners, The Coach Pat Dye Show is exactly what you need to get your sports fix... and maybe a little comedy in as well! 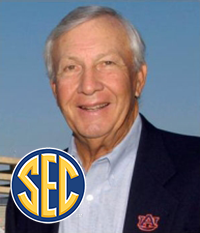 Pat Dye attended the University of Georgia from 1957 through 1960, where he played for head coach Wally Butts. Dye became a first-team All-SEC lineman in 1958. 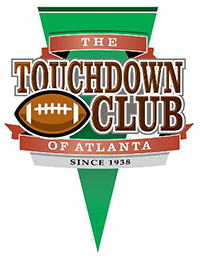 The SEC's Most Valuable Lineman in 1960 awarded by the Atlanta Touchdown Club. 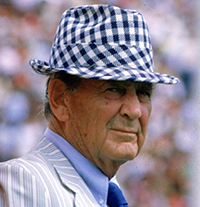 Dye worked for Bear Bryant as an assistant defensive coach from 1965 until 1973, during which time Alabama won two national championships and five SEC championships. 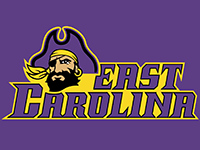 Dye's first head coaching job was at East Carolina University from 1974-1979. Dye led them to the Southern Conference championship in 1976. Dye became the head coach at the University of Wyoming in 1980. On January 2, 1981 Pat Dye became the head coach at Auburn University. Dye served as head coach and athletic director until 1992. During his tenure as head coach at Auburn, Dye achieved a record of 99-39-4 (71.1% win rate) over twelve seasons. Dye recieved SEC Coach of the Year honors in 1983, 1987, and 1988. 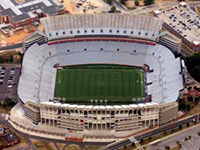 Under Dye's leadership, Auburn's Jordan-Hare Stadium was expanded to 85,214 seats, 71 luxury boxes were added, and other significant facility improvements were made. 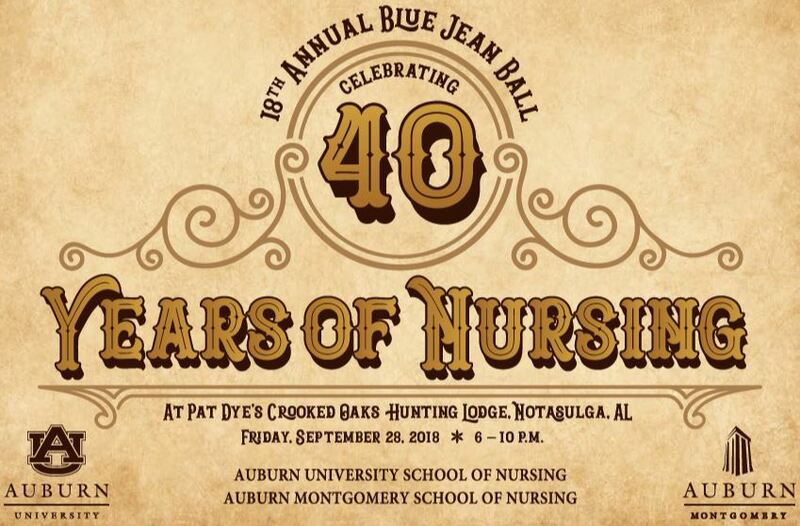 Dye's legacy remains as the expansions and upgrades allowed Auburn to move its home games against Alabama away from Birmingham's Legion Field to its own campus. 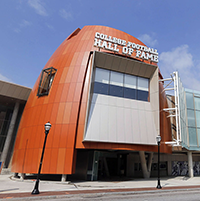 In 2006 Coach Pat Dye was inducted into the College Football Hall of Fame.